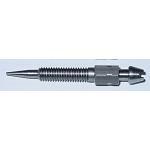 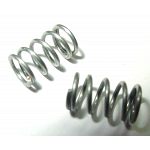 OEM quality idle mixture screws and springs for Rochester Two Jet - 2G/2Gc/2GV/2GE 2 barrel carburetors. 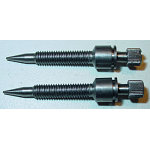 Two replacement Quadrajet idle mixture screws. 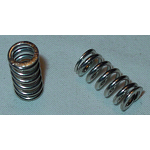 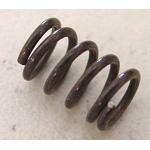 Use in conjunction with part #2021B springs. 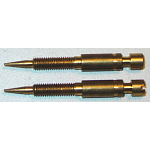 Pair of replacement Rochester 2G / 4G carburetor idle mixture screws. 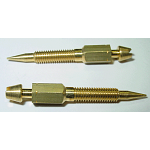 Pair of replacement Rochester 2G / Dualjet idle mixture screws. 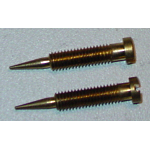 Pair of replacement Rochester idle mixture screws. 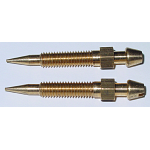 Pair of replacement Rochester 2G idle mixture screws. 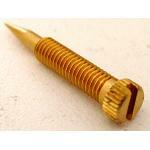 Replacement Rochester idle mixture screws.